Yashika Bageerathi arrived in Britain in 2012. She's currently in Yarl's Wood immigration removal centre. Bageerathi (right) fled Mauritius in 2011, seeking asylum with her mother in the UK. This week she was detained by the Home Office and is set to be deported on Tuesday. Bageerathi's mother has said they left Mauritius because of violence from a family member. She claims that if deported, Bergeerathi will have to go back to a place where she still fears for her life. Her classmates have started an online campaign to stop the UK Home Office from deporting her months before she completes her education. And this afternoon, the protesters have gone to the Home Office in Whitehall. 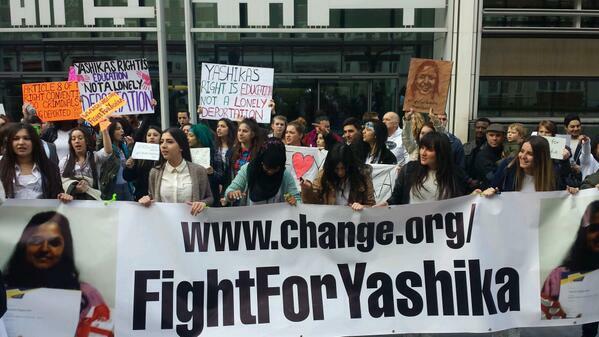 #FightForYashika Hundreds of supporters!!! Showing the love for Yashika!! Her local MP has expressed his support. She is enrolled at Oasis Academy Hadley in Enfield and the school's deputy head is helping to run the campaign. 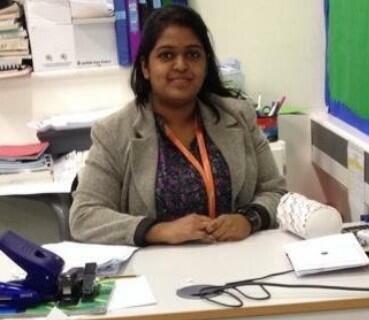 "Since enrolling at Oasis Academy Hadley, Yashika has made an outstanding contribution to the life of the academy. Not only is she an incredibly talented mathematician, she has spent considerable time helping to train, teach and coach younger students in the subject, transforming their learning experience. On top of all of this she has poured herself into voluntary activities, helping the Academy to win a national award in recent months. 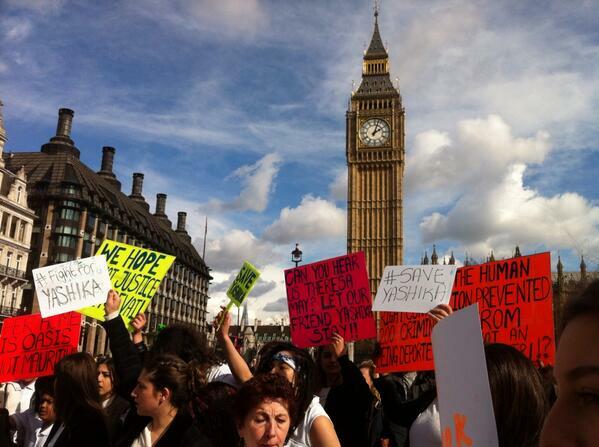 To deport Yashika at any stage would cost the UK a valuable member of society. To do so just weeks before she is about to complete her education would be an uncompassionate and illogical act of absurdity. We are fighting to give her the right to stay until June to finish her A levels, and ideally to allow her to remain with her family indefinitely." The Home Office has said it will not comment on individual asylum cases.